Elise’s ability to implement key strategies for talent management and employee engagement through refining talent acquisition and elevating performance management has led to considerable cultural growth within SDI’s diverse culture in the US, Mexico and Canada. She has been the driving force behind SDI’s ability to provide the highest quality professionals to manage our clients’ MRO – to a level that is unmatched in the industry. Prior to joining SDI, Elise spent over 17 years in human resources leadership with companies like ARAMARK, Independence Blue Cross and Quest Diagnostics. 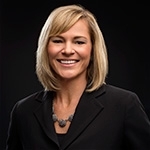 Her success at these companies has translated directly into the highest quality people and processes being driven into additional value for SDI’s clients.